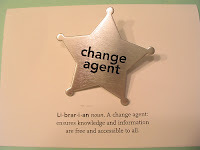 Library Garden: We ARE Change Agents! This is great. Where can we get one?